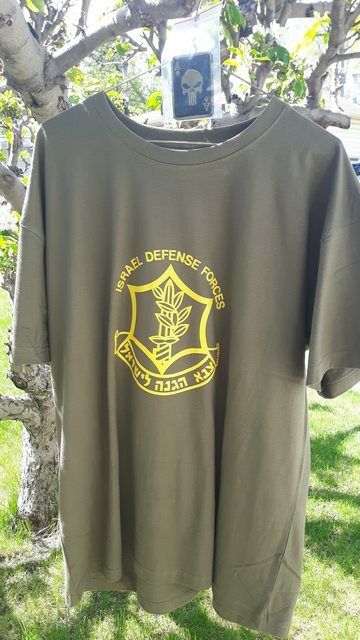 I just wanted to THANK YOU for the great deal on the shirt that I recently ordered and arrived today. It fits perfect and I will wear it with absolute pride. PSALM 18:34 - "He teacheth my hands to war, so that a bow of steel is broken by mine arms." Still waiting for my T-shirt and badge to arrive. Looking forward to wearing it! My t-shirt just showed up. Looks like a quality item. I plan on wearing it to the Sabaton concert in TO next month. when guns are outlawed we become subjects. Non-compliance, 'cause bad laws are worse than no laws. Very cool sounding shirt dude!!! Thank you very much for the kind feedback! Respect! Stay strong, safe and have a great week! Thank you too FALover, we hope you enjoy it. Just received my t-shirt and badge.